Taminhent airbase (Photo: Social media). A surprise attack on the Taminhent airbase, located 30 Kilometres north-east Sebha, by a coalition of Chadian rebel militias and Benghazi Defence Brigade (BDB “Saraya”) forces yesterday, was repelled by Hafter-led Libyan National Army (LNA) forces. An LNA soldier, Ali Anduljaleel from the 166 Brigade, reported that the attackers managed to break into the airbase through the main barrack at around 8 am. The shootout lasted for about three hours before the attackers made a hasty retreat as result of LNA airstrikes. Abduljaleel reported that two armoured vehicles used by the attackers were destroyed and at least two LNA soldiers are still missing. It is understood that the attackers are based at the Palm Farm 20 kilometres south of Sebha. On Sunday there had been conflicting reports of at least two LNA airstrikes against Chadian opposition groups around the Sebha outskirts and around Ghadduwah agricultural circles, some 60 kilometres south-east of Sebha. No official results of the airstrike were announced. This is believed to be the fifth airstrike conducted by the LNA since it announced Operation “Law Enforcement” in the south of Libya on 10 March 2017, yet there have been no official supporting photographic or video evidence to substantiate the LNA’s airstrikes. Meanwhile, Sebha remains calm after the Tebu takeover of Sebha Castle on 14 May, though living conditions have been hard with skyrocketing food prices and poor telecommunication coverage. 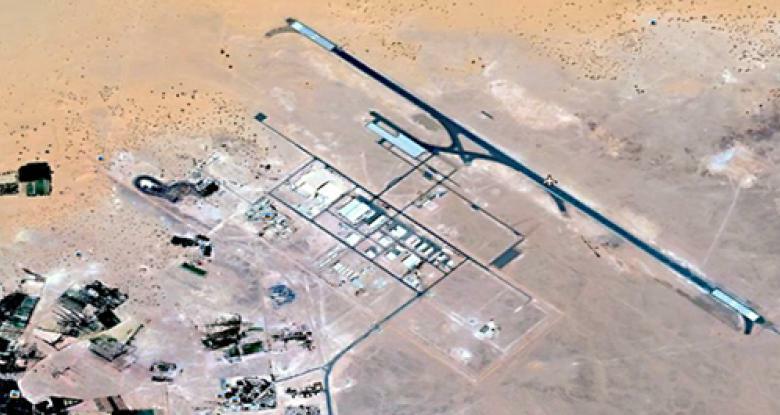 Taminhent is one of Libya’s most strategic airbases. Encompassing 35 square kilometres and massive military maintenance facilities, it has a residential complex of some 240 housing apartments. Taminhent overlooks the Sebha road that connects to the towns of the central Jufra area in the mid-south of Libya and connecting north west Libya to its south-west. It will be recalled that it was taken over by the Misratan-led Third Force on 10 April 2014 before the Khalifa Hafter-led LNA re-captured it on 25 May 2017. 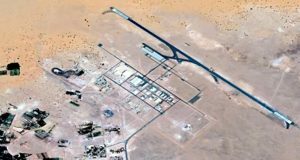 Along with Brak Shatti airbase and the Jufra airbase, the LNA seems to have over-stretch itself, with a lack of capacity to control and utilize its bases.